Looking for candid and insightful conversations between IT industry professionals in a dynamic, unpredictable talk-show format? 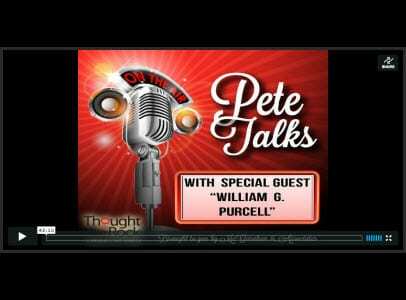 Please join talk show facilitator Peter McGarahan as he welcomes Knowledge Champion William G. Purcell. Bill is a leader within the IT Enterprise Support organization for Paychex, Inc. Peter and Bill discuss and share Knowledge Management success stories and practices from the front line. Knowledge Management (KM) plays a critical role in how services are delivered and experienced by both the employees and the customer. KM rarely reaches its potential impact and return on the investment in time, money and people when positioned as a project. For KM to be measurably successful and sustainable, it has to be implemented as a program. Knowledge Management success is based on 80% people and 20% tools. Join Peter and William as they address the reality of all of the necessary components organizations need to be successful in planning, implementing, operating, measuring and continuously improving their KM program. Increase self-service adoption and Knowledge Management (KM) ”˜buy-in’ and participation at all levels of the organization.